I honestly wasn’t feelin’ much rap that was coming out on wax in the mid 80’s- oh, I liked a few things fa sho, but the overall drum machine sound was not doing it for a octopus break-lovin’ dude such as myself. 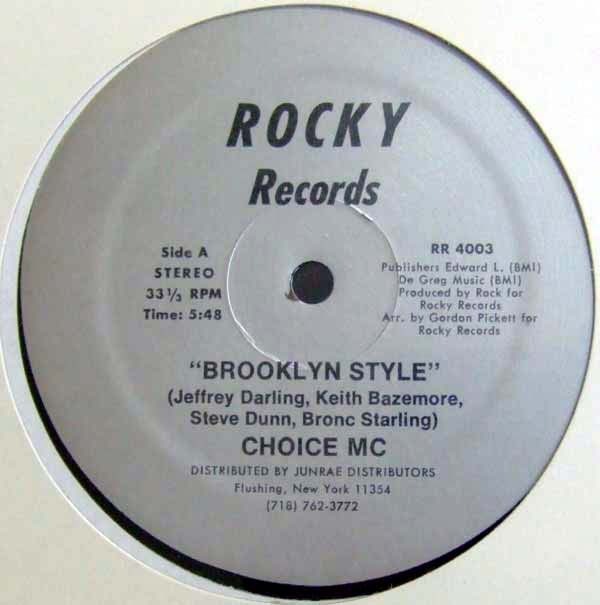 For some reason I did kinda like this “Brooklyn Style” record by Choice MC (really the Choice MC’s… somebody at Rocky Records didn’t spellcheck, unfortunately). Kinda sparse, not a lot of musicality going on until Fresh Gordon starts noodling around on his keyboard at the end… could be why I didn’t hate this joint. Stuff like this does make me kinda nostalgic, though, I must admit. Not so much about Hip Hop music but just stuff that was going on in my own life around the time that this dropped. 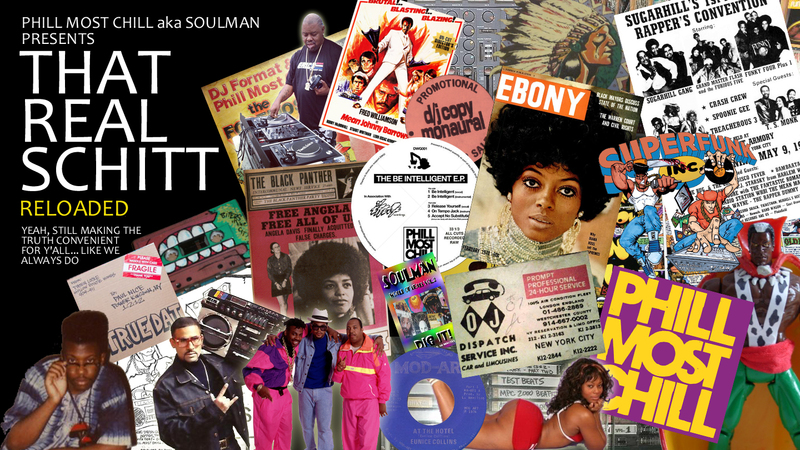 Sitting up in my crib in my new environment of North Philly listening to Lady B on WHAT (that real schitt on AM radio!) while it rains in my bedroom and I’m emptying out pots and buckets of rainwater. Yeah, I’m doin’ pretty decent right now but your boy Phill DEFINITELY got the tales of abject poverty too. Any way, I digress- go ahead and download this slice of Hip Hop circa 1985 or so if you can use it. I added the dub version as well. This entry was posted in lost rap, philly. Bookmark the permalink.